Pudge’s last official team photo. Congratulations to a deserving 2017 Hall of Fame class; Jeff Bagwell, Tim Raines and Ivan Rodriguez were all elected through the most recent round of balloting. This is the Class of 2017 Version of this post: first one was done after the 2014 Hall of Fame class was announced and the voting results made public, and then the next was done after the Class of 2015 was announced. And here’s the 2016 version of this post, from which all the text for prior ballots is cut-n-pasted. It is here for your reminiscing enjoyment. 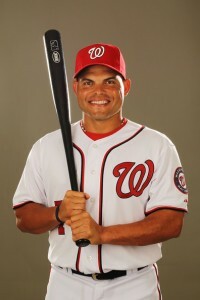 Ivan Rodriguez, aka “Pudge,” who surprisingly signed a 2-year deal with the team after the 2009 season and played his last two years with the rebuilding team, splitting time with the up-and-coming Wilson Ramos and retiring after the 2011 season. He was part of the rebound years for the franchise but missed out on their breakout 2012 season. There was some surprise when he got in on the 1st ballot, given his PED suspicions, but I take his election as a sign of the changing times with the electorate. There’s definitely a difference between suspicions and a real failed test, and inarguably Pudge is one of the best catchers of all time so there’s no reason to keep him out. Here’s a great link of a video of Pudge finding out he was elected. Matt Stairs, whose name I can’t quite say without cursing, who sucked at the teet of the Washington Nationals payroll for half a season in 2011 before being mercifully released on August 1st of that year. Stairs now is now a regular in my semi-annual “Nats to Oblivion” posts, last done in April of 2016. He received zero votes and falls off the ballot. Alex Cora: like Stairs, he signed on as a veteran FA to be a role player with the 2011 Nats and retired after the 2011 season. Unlike Stairs, Cora wasn’t judged to even be worthy to make the ballot. (As we all know, Tim Raines, Vladimir Guerrero, Orlando Cabrera and Larry Walker all grew up with the Montreal franchise, but never appeared for the team post-move to Washington, so I havn’t included them here. Cabrera was the closest to appearing in a Nats uniform, getting traded to Boston mid 2004 season just prior to the move). 2017 Ballot on baseball-reference.com, with links to vote counts, stats, etc. This post will let you answer the trivia question, “Prior to Ivan Rodrigiez’s enshrinement, what former Nats player has come the closest to Hall of Fame enshrinement?” (Answer at the bottom). We’ll work from most recent to oldest. Not a single Nats-connected was on the official Class of 2016 ballot. As it turned out, There’s actually quite a few guys who were *candidates* for the 2016 ballot by requirements, but who didn’t make the cut who also had connections to the Nationals. In fact, there’s quite a few of them. Here’s a good list, thanks to the excellent research by Bill from platoonadvantage.com. Ronnie Belliard: Played pretty well for the god-awful stretch of Nationals teams from 2007-2009, posting a nifty 123 OPS+ during the middle season before getting traded away at the 2009 trade deadline for two minor leaguers who never went anywhere (Luis Garcia, Victor Garate). Stuck with Los Angeles one more season before hanging them up at 35. Played parts of 13 seasons in the majors but didn’t rate a spot on the ballot. 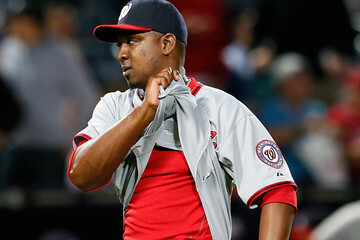 Jesus Colome was an important part of the Nats bullpen during the same 2007-2009 span that Belliard was involved with, getting more than 120 appearances his first two seasons before posting an 8 ERA in 2009 and getting DFA’d in July. He got picked up the next year by Seattle and got a few appearances (hence why he’s not on the “Nats to Oblivion” lists) and, if you can believe it, is still pitching at age 37 in the independent Atlantic league as we speak. He did manage 10 distinct years w/ MLB appearances though, so he qualified. Jose Guillen came to Washington with the Expos, played one solid year in 2005, had a season-ending elbow injury in 2006, then bounced around the league for a few more years. He was active for 14 total seasons but never made an all star game. He hit 24 homers for the surprising 2005 Nats … and led the league in HBPs. 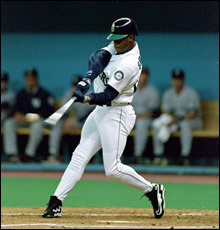 Cristian Guzman signed a somewhat controversial 4yr/$16M contract (it cost the team its 2nd round pick) that started when the team moved to Washington, was god-awful his first year, then had to have shoulder surgery to miss the entirety of 2006. He recovered his stroke in 2007 and actually made the all-star team in 2008 (our only representative during the dark years) … which was enough to convince our idiot GM Jim Bowden to give him a 2yr/$16M extension to an aging shortstop w/ no power on the wrong side of 30. Not surprisingly, his OPS dropped 100 points in 2009 and the team dumped him on Texas in a trade-deadline deal after he had lost his starting job to Ian Desmond, netting the Nats two RHPs (one of which Tanner Roark makes this one of the better trades ever consummated by the Nats executive staff). Guzman played in 15 more games for Texas, batted .152 and never played again. Aaron Boone, who signed a 1yr/$1M FA contract to be a backup corner infielder with the abhorrent 2008 Nationals team. Boone’s crowning baseball achievement was his extra innings walk-off homer that ended one of the best games in MLB history (Game 7 of the 2003 ALCS between Boston and the Yankees, ranked #6 by MLB’s panel a few years back when ranking the best 20 games of the last half century). Ironically one of his lowest moments was just a couple months later, blowing out his ACL that subsequent winter while playing pickup basketball, costing him the entirety of the 2004 season and the trust of the Yankees organization. He missed 2/3rds of the 2007 season after another left knee injury and the Nats were probably his last gasp shot at extending his career at the age of 35. He got a decent amount of playing time thanks to the fragility of Ryan Zimmerman and Nick Johnson, somehow got another guaranteed MLB deal the following year, went 0-14 for Houston and was released. He’s now an analyst with ESPN. Received 2 votes on the 2015 ballot. Ron Villone signed a minor league deal in 2009 and was quickly added to the Nats active roster, where he appeared in 63 games as our primary one-out lefty. He pitched the entirety of 2010 on another minor league contract with Syracuse, posting a 6.59 ERA as a 40-year old and never earning a call-up. In 2011 he was invited to spring training again (perhaps with the hope that he’d join the organization as a coach) but he got cut, then pitched a handful of indy league games for his home-town New Jersey indy league team, got hammered, and hung them up. He retired having played in 15 seasons for no less than 12 different teams. In 2012 he took a pitching coach job with the Cubs organization (one of the teams he managed NOT to play for during his career) and has been moving up their organization in that capacity since. Received Zero Hall-of-Fame votes by virtue of not appearing on the BBWAA ballot. Julian Tavarez signed a one-year deal in the beginning of 2009, started out decently but had an awful stretch that resulted in his DFA in mid July 2009. He never threw another pitch in organized ball, abruptly retiring considering his mid-season release. He ended a 17-year career spanning 11 different franchises. Received Zero Hall-of-Fame votes by virtue of not appearing on the BBWAA ballot. According to his wiki page, he now resides in a suburb of Cleveland (his original professional team) but does not list any post-career activities, baseball-related or otherwise. Received Zero Hall-of-Fame votes by virtue of not appearing on the BBWAA ballot. Both Tavarez and Villone belong to the infamous “From Nationals to Oblivion” club, a topic we revisit on an annual basis. Note: it is not entirely clear to me why Villone and Tavarez were not actually ON the 2015 ballot; both seem to have the qualifications (10 years of experience and 5 years retired) and both were on previous versions of the “anticipated ballot” at baseball-reference.com, but neither showed up on BBWAA’s official ballot for this year. Pete Kerzel did a post reviewing “Nats connected” 2015 ballot members when the ballot came out in Nov 2014 and only mentioned Boone. I include them here since it seems to me they *should* be on the ballot and I’m not sure why they were not (unless someone is passing judgement on the “quality” of HoFame ballot members). Are they pushed to subsequent ballots for some reason? If anyone has insight i’d love to know. Paul Lo Duca: one of Bowden’s more infamous signings; he went from our opening day catcher in the 2008 season to being released by August 1st. The highlight of his tenure here was having his name being revealed in the Mitchell Report just a couple days after signing with us. After his release, he signed on to finish out the season with Florida, took a year off and attempted a come back in 2010 (signing a ML contract with Colorado but never appearing above AAA). Hard to believe this guy was a 4-time all-star. Received Zero hall-of-fame votes. Royce Clayton; signed a contract to be the Nats shortstop during the lean Jim Bowden years, and then was included in the Mega swap of players that headed to Cincinnati in the 2006 season. He hung around for one more season in 2007 as a backup short stop and retired afterwards. Received Zero hall-of-fame votes. Mike Stanton was picked up in mid 2005 after being released by the Yankees, and he pitched well enough for the Nats that he was able to fetch a couple of low-level prospects in a late September move to Boston (who was looking for some late season bullpen cover). The team then re-signed Stanton for 2006, and flipped him again mid-season, this time to the Giants for Shairon Martis. Stanton toiled a one more season before hanging them up after 2007. Received Zero hall-of-fame votes. Vinny Castilla: signed a two year deal to join the Nats, timed with their inaugural season in Washington, but was traded to Colorado for SP Brian Lawrence when it became apparent that Ryan Zimmerman was set to man the hot corner in DC for the next decade or so. Played one more season and retired after 2006. Received Six (6) Hall-of-fame votes. Carlos Baerga: signed a one year deal as a 36-yr old to join the Nats in their inaugural season and serve as a backup infielder. Hit .253 in part-time duty and hung ’em up after a 14-year career that can be well described as “journey-man.” He was an integral part of the early 90s Cleveland Indians as their starting 2nd baseman and a 3-time all-star, and ended up playing on 6 major league teams and spent parts one season in Korea. Received Zero hall-of-fame votes. So, outside of Pudge’s election, the Nats greatest Hall of Fame achievement is Vinny Castilla receiving 6 sympathy votes. We still have to wait a while to see another player with a “W” on their hat in Cooperstown. The MLB rule-4 (Amateur) draft starts tonight, 6/9/16 at 7pm. The MLB Network will have full coverage of the first round of picks. This post is my dumping ground of draft coverage for 2016. This post uses last year’s format, with links to use to see draft prospect rankings, links to help cover the draft (which I personally come back to time and time again), some blurbs on local players of interest, and then links to a bunch of mock drafts. Here’s the big post on all marquee DC/MD/VA prep players ahead of the 2016 season (only guys who are “significant” draft prospects are mentioned here). After the draft happens, I’ll review both of the above posts and list who actually got picked and who’s going to school. MLB.com Official 2016 Draft Central home page. MLB’s Awesome 2016 Draft Tracker; you can slice and dice the draft 10 different ways, search by schools and home states, etc. Official MLB 2016 Draft Order. Per my “evolving draft order” xls online, The Nats forfeited what would have been the #16 pick and now their first two picks are #28 and #29. After that, they pick 58th, 94th, 124th and then +30 picks there after per round. MLB Draft Database for all past databases. Fangraphs Sortable Draft Board; a great new tool Fangraphs has that lets you slice and dice their top draft board. Baseball-Reference Draft Tools: links to their draft database plus some custom reports. Here’s a slew of Draft Prospect rankings : these are NOT the same as mock drafts; see further down for those. You’re going to see the same locally tied names on nearly all of these lists; they’re all individually profiled further below. 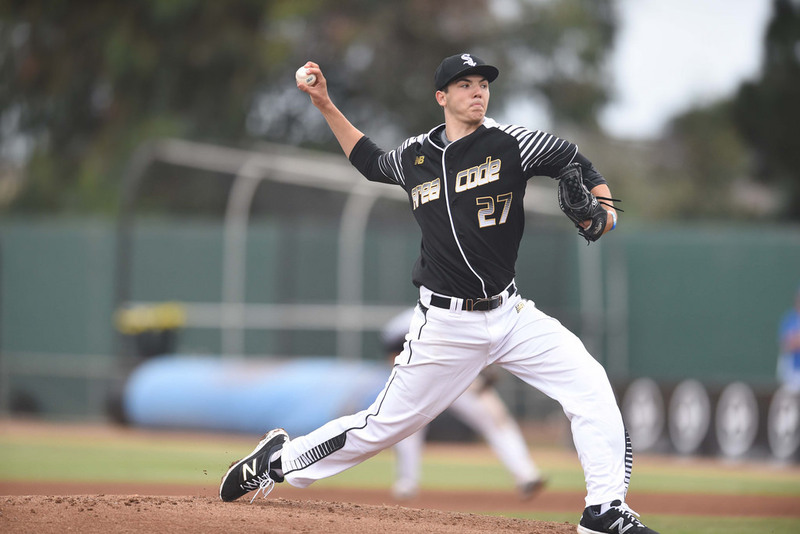 D1baseball HS top 100 players with commitments for 2016 (most of it behind a pay-wall). UVA stands to lose three significant recruits being ranked in their top 100 right now. D1Baseball.com’s Top 150 Draft Prospects (mostly behind a pay-wall): Puk, Lewis, Groome, Pint, Ray. ESPN/Keith Law‘s May 2016 Top 100 Draft Prospects (ESPN insider): Ray, Groome, Perez, Moniak, Puk. USAToday/Frankie Piliere‘s top 30 Draft Prospects: Puk, Lewis, Groome, Pint, Ray. Now, some news about College Players with local ties who are serious draft candidates (meaning first couple of rounds projected or present on top 100 draft ranking lists). Note that I’ve got a far, far larger list of local players that I’ll follow-up on after the draft; these are just the significant/top 10 round types. Connor Jones, UVA RHP via Great Bridge; at this point perhaps the 2nd or 3rd best college pitching prospect thanks to fall-offs from a number of other candidates. Probably a mid-1st rounder, though some pundits (Keith Law) have him rated far lower. Buddy Reed, OF from Florida via Finksburg, MD (NW of Baltimore). Probably a late first rounder or sandwich pick, perhaps lower. Matt Thaiss, UVA C who has shot up the rankings; now projected as early 2nd rounder. Keith Law likes him as a late 1st rounder. Mike Shawaryn: RHP for Maryland; stock has really fallen this season; now perhaps just a 4th rounder. A late season push improved his draft status somewhat. Andrew Knizner, C from NC State by way of Glen Allen, VA: gritty ballplayer who has played his way into perhaps 5th round discussions. Errol Robinson, SS from Ole Miss by way of Maryland; struggled badly this season, dropping his stock from early 2nd round projections; no idea where he’s project to go now. Joe Rizzo, INF for Oakton HS. Remains the highest ranked local draft prospect, projecting as anywhere between a mid-1st rounder and an early 2nd rounder. South Carolina commit. MLBpipeline.com’s write-up profiles his draft prospects the best. Khalil Lee LHP/OF for Flint Hill. Some have him 2nd-3rd round, others have him projected 4th-5th. Part of the confusion is where to play him; he was an undersized speedy CF candidate… then suddenly flashed low 90s off the mound as a lefty starter this year. Liberty commit. Zack Hess, 1B/OF from Liberty Christian Academy (Lynchburg). 3rd round projection. LSU commit. Noah Murdock, a RHP from Colonial Heights (Richmond). 4th round projection by rank, UVA commit. Garrett Stallings, RHP from Grassfield HS. Not generally listed but may be rising, Tennessee commit. Re-draft players of interest to Nats fans: these are re-drafts that have come back up. See the Draft Tracker for underclassmen draftees from last year and/or Prep draftees from 2013 who are now draft eligible again. Garrett Hampson, SS from Long Beach State. Nats 2013 26th round pick, now projecting as a 5th or 6th rounder. Reid Humphreys, RHP/OF two-way player from Mississippi State. Nats 2013 36th rounder, now projecting as a 4th/5th rounder. Shaun Anderson, RHP from Florida. Nats 2013 40th rounder, now projecting as a late 3rd rounder. John Reeves, C from Rice. Nats 2015 20th rounder who started 56 games for the CWS-bound Rice team and hit above .300; looks like a good choice to return to school. Alec Rash, RHP from Missouri: Nats 23rd round pick in 2015. Quit baseball altogether last fall to pursue collegiate basketball. Blake Smith, RHP from WVA: Nats 24th round pick in 2015: posted a 2.20 ERA as West Virginia’s closer for the season with 8 saves and 25 appearances. Mack Lemieux, LHP from Jupiter HS and then Palm Beach State CC. Nats 14th round pick in 2015. Every year I say i’ll stay away from the Mock Draft links … and every year I come back. Here’s a running collection. DCProSports.com has a master list of Mock drafts at this link that has many more than I’ve got listed below. Fangraphs/Scott Moore‘s Mock #1: Groome, Senzel, Lewis, Puk, Pint. BaseballAmerica/Hudson Belinsky‘s Mock #1: Groome, Senzel, Pint, Puk, Perez. BaseballAmerica/Hudson Belinsky‘s Mock #2: Puk, Lewis, Pint, Moniak, Ray. BaseballAmerica/John Manuel Mock #1: Puk, Lewis, Pint, Moniak, Groome. ESPN/Keith Law Mock #1 (Insider only): Puk, Lewis, Groome, Pint, Ray. ESPN/Keith Law Mock #2 (Insider only): Puk, Lewis, Groome, Moniak, Perez. D1baseball.com/Frankie Piliere Mock #1: Puk, Lewis, Groome, Pint, Ray. MLBPipeline.com/Jim Callis Mock #1: Puk, Senzel, Lewis, Moniak, Ray. MLBPipeline.com/Jim Callis Mock #2: Puk, Senzel, Lewis, Moniak, Perez. MLBPipeline.com/Jonathan Mayo Mock #1: Puk, Senzel, Lewis, Groome, Perez. Scout.com/Taylor Ward Mock #2: Puk, Ray, Lewis, Groome, Rutherford. Baseball Prospectus; have not seen any mock drafts from BP this year. PerfectGame.org Mock Drafts are Insider/Premium only; this link is to their 2016 Draft Coverage home page. And this top 5 means that Groome and Pint (who I think are the two best talents in this draft) fall to teams outside the top 5 and they’re going to be absolutely ecstatic. ACTUAL DRAFT Results: Moniak, Senzel, Anderson (?? ), Pint and Ray. Just like everyone predicted. Who are the Nats going to take at #28 and #29? No frigging idea. Lots of these Mock drafts attempt to guess, to put some names with the Nats down that far. But consider the 2011 draft. Everyone had Anthony Rendon going 1-1. Suddenly he slips and the Nats grab him at #6 in a total gift. The point is this: we have no idea how even the top 5 picks will go, so predicting what’s going to happen at pick #6 is folly, let alone #28. Nats will take BPA, probably will mix up a safer pick (aka college arm) with a riskier pick (aka a high school bat) and go back to back $2M bonus slots. I also like the running theory that the nats will get the Scott Boras special and “package” two Boras clients together at 28/29 and basically split the bonus pools. Names often mentioned here include Kyle Funkhauser and the prep pitcher/basketball player Matt Manning. One would be an over draft, one would be a steal if he gets here. We’ll see. Bill Ladson‘s inboxes seem to now just be sporadic Spring Training devices. I should do more post-Boswell chat reaction posts to drum up conversation. Nonetheless, here’s Ladson’s latest mailbag and how i’d have answered the questions he took. Q: Former Nationals general manager Jim Bowden believes Michael Taylor should be the starting left fielder over Jayson Werth. What is your take on it? A: My take is, “thats why Jim Bowden isn’t a GM anymore.” Or even a manager. Yes Michael Taylor has had a great spring. He also struck out, a lot, in 2015, (158 Ks in 511 PAs for a nifty 31% clip) and (per his splits) didn’t really improve much as the season progressed. Meanwhile Jayson Werth put up very, very good numbers in 2013 and 2014, the two most recent seasons when he wasn’t hurt. In both of those seasons he put up oWAR of 4.7 (his total bWAR figures being drug down by his idiot manager continuing to play him in RF instead of left). Of course, Werth isn’t getting any younger. There’s not guarantee that he hasn’t fallen off a cliff of performance. So what’s the answer? You let Werth play his way to the bench. The odds are that someone’s getting hurt in our OF and Taylor is going to get 400-500 ABs anyway. So he’s gonna get playing time. 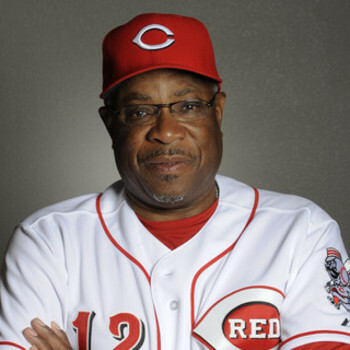 But there’s just no way that Dusty Baker the “veteran’s manager” is going to sit a long-time vet and team leader by virtue of a few weeks of Florida ABs. It may take half a season of under-performance, but eventually these things sort themselves out. This is basically what Ladson said too. Q: What do you think is Baker’s toughest decision before heading north? A: What socks to wear on opening day? Honestly, there’s really very little to decide upon with this team. They’ve had a very injury-free spring. The rotation was basically settled upon months ago. The trades that Mike Rizzo made to solidify the roster also had the effect of basically locking up the roster going north. Maybe there will be a surprise in the bullpen but that seems unlikely too; the team acquired all these guys for a reason and it wasn’t to compete for a bullpen slot. The obvious answer prior to spring training was “who starts at Shortstop” but I’ve never thought there was any question that Danny Espinosa will be the starter. That’s not to say I don’t recognize the potential of Trea Turner (he’s not a top 10-15 prospect on most pundits’ sheets for nothing), but returning to a theme, I just had a hard time thinking that a manager like Baker was going to go with a guy with 5 weeks of service time over a guy with nearly 5 years. As with Taylor/Werth though, this situation likely sorts itself out. If Espinosa hits .200 for April, then he’ll switch places with Stephen Drew and the team will start thinking hard about bringing back up Turner (especially if he’s hitting .320 in AAA). I think there’s still some question at the edge of the bench; do you go with who I think they’ll go with (Tyler Moore and Clint Robinson) or do we get a surprise DFA so they can stick with someone like Matt den Dekker? Ladson also says its the last bench spot, where Moore is the incumbent but a number of guys could stick based on spring performance, specifically Scott Sizemore, who might be a bit more positionally flexible than Moore. Q: What is your biggest concern about the Nationals? A: Bullpen. We’ve talked about how the Nats, despite all their injuries on offense last year, really struggled in terms of run prevention as the core reason they went from 96 to 83 wins. Now they’re rolling out nearly a 100% changed bullpen from opening day last year. How will it perform? Will it be able to hold down the fort? We also likely are taking a step back in the rotation, unless Strasburg remembers his September form and brings that from day one. But, we hopefully counter this with a step forward in offense, with healthy seasons from Anthony Rendon and the veterans. Ladson also says Bullpen. Q: Who do you see having a breakout year in the Nationals’ farm system? A: Well, do you count Giolito at this point? Probably not. I’m going to go with the prospects who are getting publicity but who are still in the lower minors. Guys like Victor Robles, Anderson Franco. I’d like to see what Max Schrock can do. I’m excited to see what Taylor Hearn can bring to the table with a full season. The two Lees: Andrew Lee and Nick Lee. Ladson mentions Severino; meh; i think we know what we have with Severino by now; great catcher, no hit, #8 hitter in the majors. I think you see this team let both Ramos and Lobaton go this coming off-season and find a new starter with Severino as the backup. But that’s a year away so lots could change. Q: Should the Nationals consider trading Stephen Strasburg before the non-waiver Trade Deadline since it seems he has no interest in returning to Washington next year? A: Nope. You try to WIN when you have guys like Strasburg, not flip them away like you’re some small market team stashing away prospects for the future. This isn’t Tampa Bay; this is the #5 market in the nation. Besides, who said Strasburg has “no interest” in returning to Washington?? I’ve never read that. His agent is Scott Boras, who always advises going to free agency, and next year’s FA class is weak, meaning Strasburg will probably get into a bidding war for his services. Its the modern game; he’ll be overpaid, he’ll get too many years, and he’ll likely get priced out of the comfort level of Ted Lerner and company. But that’s not the same as implying that Strasburg doesn’t want to be playing in Washington. Would you give Strasburg 8yrs/$200M? Because that’s the going rate for an Ace-quality guy like him on the market. Ladson agrees. Q: What do you think of Blake Treinen? Is he a starter or reliever? A: I think he’s a starter at heart but a reliever in reality. That is unless he can actually develop a 50-55 grade third pitch that he can reliably get lefties out with. If that’s the case, then he could become a very effective starter. And it does seem like the Nationals are thinking the same thing. He’s definitely pitching this spring like he’s a starter; perhaps the team is thinking about Treinen as the longer guy instead of Petit. Ladson says he’s showing progress and his spring stats are good; is he the 6th starter over A.J. Cole or Austin Voth at this point? If someone goes down with injury, are you trying out Trienen or are you calling up the kid Giolito? Congrats to Ken Griffey Jr. and Mike Piazza for their election this year. Hopefully the high vote totals for Bagwell and Raines will lead to their election next year, where the ballot doesn’t really have any obvious candidates. 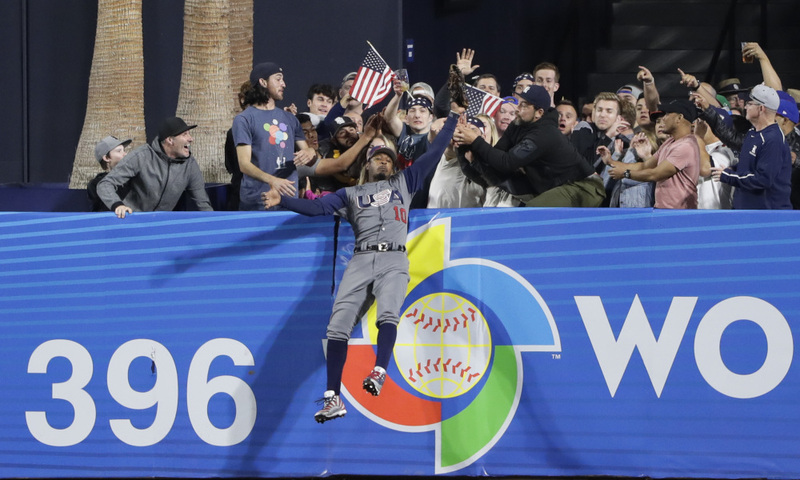 (And let me qualify: I absolutely think there’s players on next year’s ballot who deserve to be in … its just that PED stain will probably prevent them from being slam-dunk candidates. More on that in next year’s episode of “how the Hall of Fame Ballot turns”). This is the Class of 2016 Version of this post: first one was done after the 2014 Hall of Fame class was announced and the voting results made public, and then the next was done after the Class of 2015 was announced. Not a single Nats-connected is on the official Class of 2016 ballot. So, really the rest of this post is just cut and pasted from last year’s post. But we’ve published it for a trip down memory lane. Post-publishing update: as I suspected but didn’t have a good way to research, there’s actually quite a few guys who were *candidates* for the 2016 ballot by requirements, but who didn’t make the cut who also had connections to the Nationals. In fact, there’s quite a few of them. Here’s a good list, thanks to the excellent research by Bill from platoonadvantage.com. So, thus far the Nats greatest Hall of Fame achievement is Vinny Castilla receiving 6 sympathy votes. I’m sure this will change when Pudge hits the ballot next year (2017 class ballot). Stay tuned! Nats offered Bud Black how little?? The Shredder comes to town. Photo via premierespeakers.com, his current gig. As noted in this Nbcsports.com piece and in this David Nichols districtsportspage.com post (which contains some pretty damning tweets), the Nats offered Bud Black a ridiculously under valued offer, he was insulted and refused to take it. It apparently was than $2M for two seasons (or less than what they’re going to be paying Matt Williams NOT to manage in 2016). USAToday’s Bob Nightengale reports it at $1.6M and only guaranteed for two years. By way of comparison, Don Mattingly got 4 guaranteed years for a million more per year despite having significantly less experience. Unbelievable slap in the face for a guy with Black’s resume. And so now we’re apparently looking back at Dusty Baker, aka the shredder, aka Mr “walks are bad?,” aka “back when I played RBIs were important.” Yahoo and other places are reporting that he’s been officially hired … though we thought Black was hired last week too, so maybe i’ll reserve judgement until we see him putting pen to paper. My opinion of this situation: Awesome. (that was sarcasm, by the way). The team inexplicably makes itself look amateurish and incompetent in one fell swoop (how do they NOT know the going rates of managers in this league?? Pick up the frigging phone and call around) *and* miss out on a candidate that I personally thought was a pretty good transition away from the Matt Williams debacle. I defended Jim Riggleman in this space when he abruptly resigned in 2011, putting some blame on Mike Rizzo for poor management/communication and leaving him out to dry for so long as “interim” manager. Now, with Rizzo dealing with his SIXTH manager in 6.5 years at the helm (inherited Acta, hired Riggleman, installed Davey Johnson, (not even counting the 3-game interim manager McLaren) hand-picked Williams as replacement, butchered negotiations with Black and now has hired Baker), at what point do you look firmly at the executive in charge here and start asking serious questions about his abilities to manage? Maybe you put this entirely on the Lerners … but isn’t it the job of the GM to counsel his non-baseball lifer owners on what is and isn’t possible in this game? How is it possible they so badly low-balled a senior professional candidate while so badly overpaid for sh*tty edge-roster guys over the past two years (ahem, Nate McLouth). How is it possible that the Lerners *still* seem to have this team in some weird corporate-world budgetary constraint system where they have their “slot” pre-defined for managers, for payroll, etc? I don’t get it. You know, sometimes you get what you pay for. Lets hope this team doesn’t “get what it paid for” in Baker for the next two years (two years that will represent a significant “era coming to an end” situation for this team). Why exactly did the Nats call up Turner?? the team finally had Ian Desmond hitting decently enough (consistently between about .250-.280 in 1/2/4 week samples going back a month). Danny Espinosa has been a revelation this year, increasing his slash lines across the board and as we speak posting a 99 OPS+ figure. Yunel Escobar being the 2nd most valuable hitter on the team, in addition to wordlessly changing positions as the Nats need dictates. Anthony Rendon finally back on the big club, even if he’s a shell of what he was last year, is still an excellent top-of-the-order MLB hitter. Given the wealth of middle infielders already on the roster (not even mentioning Wilmer Difo or Emmanuel Burriss both of whom have been used already this year in a backup capacity), why call him up to be a backup? So, given that all four of these middle infield options are (finally) together, healthy and performing relatively decently, what possible rationale would there be to call up Turner?? Why would this team *possibly* want to prematurely start the service time clock on such a polished prospect, unless there was a REAL and ACTUAL need to call him up? By “real” and “actual” I mean that suddenly the team found itself without an able bodied short stop and found itself in a position where Turner would play full time. No, that’s not what has happened. Turner was called up on 8/21/15. In the five games since, he has two garbage time PAs in a 10-3 loss on his debut and two pinch hit ABs. He’s played less than 3 whole innings in the field. What the hell is this team doing?? 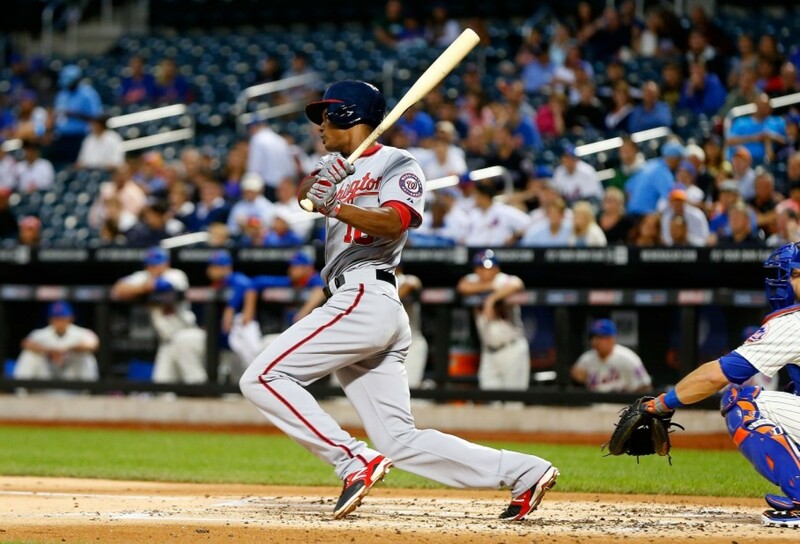 Matt Williams isn’t going to sit Desmond in favor of Turner. No way; we’ve seen *time and again* that Williams cow-tows to veterans, ensures that they hit in their preferred lineup spots and play their preferred positions even when evidence shows they’re in need of change. And even if Williams wanted to sit Desmond … he’s clearly going to play Espinosa in his place, another established vet with a track record and a good 2015 going. Where exactly is Turner going to play?? I agree whole heartedly with Jim Bowden‘s take: why did the Nats call him up to sit on the bench?? Something is fishy here. And we’ve harmed the long term benefit of the club in the process. Instead of waiting til next April to call him up, we’ve needlessly thrown away a year of his career in his prime by starting his service time clock way too soon, and for no reason. He’s not going to be impactful coming off the bench, he’s not going to play in place of the established regulars Desmond, Escobar and Rendon. He’s certainly not going to supplant Espinosa as the #1 middle infield option off the bench in case someone gets hurt. We don’t need a “designated runner” until we’re, you know, actually in the post-season (a concept that seems to be draining by the day thanks to middling losses to 2nd-division teams over and over). I think this is a clear sign (as Bowden alludes to) that the Mike Rizzo–Matt Williams working relationship is shot and that this team is quickly heading down the drain of under performance. But as a long-term fan who thinks Turner’s value to this team is in the next incarnation of the squad, it really infuriates me to see him being wasted on the MLB bench for no reason, costing the team an extra year of his service when he hits his prime. (Note: I posted this briefly last week but it got caught up in all the transactions, so I pulled it and am re-posting now). Earlier this month, MLB announced a “Franchise Four” concept to be unveiled with this year’s all-star game … except that the Washington “franchise” does not include either previous Washington-based team. So, no Walter Johnson or Frank Howard for our historical team; just a bunch of guys who toiled in Montreal 25 years ago. Johnson and Howard appear in Minnesota and Texas’ “franchise four” list respectively. I get why MLB did it this way; to avoid the inevitable arguments about teams that have moved and to ensure the Montreal players had a place to be recognized, but it did seem kind of tone deaf to not include Washington players for the current Washington team. Anyway. 1. 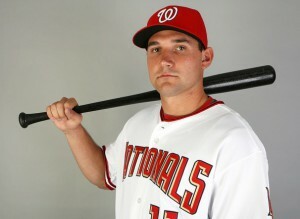 Ryan Zimmerman. How Acquired: 1st round pick in 2005, debuted in the majors in that same season. Tenure with Franchise: 10 years (9 full MLB seasons), signed through 2019 with 2020 option. Franchise Impact: long considered the proverbial “Face of the Franchise,” Zimmerman has collected a number of individual awards for this team over the years. Peaked in 2009 with a 33 homer/106 RBI season that netted him his sole All-Star appearance, a Gold Glove, and a Silver Slugger. Since has struggled with injuries and is transitioning to first base, but when healthy remains a solid middle-of-the-order bat. Off the field hosts a major charity in the name of his mother at the ball park each year and seems likely to spend his entire career with the team. Where is he now? Manning first base for your 2015 Nationals. 2. Livan Hernandez: How Acquired: traded to Montreal in 2003 (and then re-signed as a FA in 2009). Tenure with Franchise: Parts of 5 seasons Franchise Impact: Threw the first game in Nationals franchise history on 4/4/2005, and then threw the first home game in franchise history 10 days later. Was the Nats first all-star and was their opening day starter several times. Where is he now? After hanging them up, Livan now serves in an advisory role with the Nationals mentoring young pitchers. There was a funny story about Livan’s role last off-season about how he was a “life coach” to the younger players. 3. Ian Desmond: How Acquired: 3rd round pick in 2004; he is the last remaining player drafted while the team was in Montreal who has stayed with the team. Tenure with Franchise: 11 years (5 full MLB seasons). Franchise Impact: As of 2015, the longest tenured National, a player who we well traveled in the minors and who struggled in his first few years in the majors before breaking out in 2012. Where is he now? Still our starting shortstop, but reportedly turned down a 9-figure contract and stands to become a free agent this coming off-season. 4. Tyler Clippard. How Acquired: Acquired in 2007 for Jonathan Albaladejo in what might have been Jim Bowden‘s best trade as a GM. Tenure with Franchise: 7 years (6 full MLB seasons). Franchise Impact: Clippard pitched in parts of 7 seasons for the Nats, served as its closer for most of 2012 but mostly served as the highest leverage reliever out of the pen, filling the crucial 8th inning role (and more important than the closer role in many cases) for years. Two time all-star and critical bullpen stalwart for two playoff teams. Threw 70+ innings out of the pen for five straight years. Fan favorite (who can forget his walk-up “Peaches” song that became iconic in 2012) and media favorite too. Where is he now? Traded to Oakland in the past off-season for Yunel Escobar, a trade that I understood and agreed with, but was sad to see nonetheless. 5. Jayson Werth: How Acquired: Free Agent Signing in Dec 2010. Easily the largest FA signing to that date, and a signing that was met with roundly poor reviews around baseball. Tenure with Franchise: Starting his 5th year. Franchise Impact: It wasn’t as if Werth was a lesser player coming out of Philadelphia; its just that nobody thought he was a 9-figure player. The Nats made a statement to the league that their time acting as a poor franchise was up, and (in my opinion) Werth was a statement contract to that end. He struggled in his first season, but has put up solid numbers since and reportedly is an important veteran influence in the clubhouse. Where is he now? Hurt to start the 2015 season, but soon to be the starting left-fielder, having finally been nudged over from his long-standing position in RF to make room for the superior defensive player Bryce Harper. 6. Stephen Strasburg: How Acquired: First overall pick in June 2009, Signed a 4yr/$15.1M MLB contract and called at the time the greatest college pitching prospect in the game’s history. Tenure with Franchise: Starting his 6th season. Franchise Impact: Certainly has been a central part of several bits of news-generating controversy involving the franchise; his bonus figure was record setting, his service time manipulation was controversial (he was kept in the minors so as to avoid “super-2” status and then struck-out 14 guys in his debut), his arm injury sudden and unexpected (and which resulted in the termination of controversial broadcaster Rob Dibble) … and then of course his recovery plan and innings limit/shut-down in 2012 was industry-wide news (and still is, since the Nats havn’t won a WS yet and will continue to be reminded as much until they do). On the field; he’s been a good pitcher, with a career ERA+ of 127, has made three opening day starts for the team, but has “disappointed” in the respect that he hasn’t been the second coming of Roger Clemens given his post-pro career hype. Where is he now? Supplanted as the 2015 opening day starter, Strasburg is the 2015 Nats “#3 starter” and is under contract for one more season. 7. Bryce Harper: How Acquired: First overall pick in June 2010. Signed a 5 years/$9.9M MLB deal as a 17yr old. Tenure with Franchise: Starting his 4th MLB season. Franchise Impact: Harper arrived with all the hype you could expect of someone who had been on the cover of Sports Illustrated as a 16 year old. The “narrative” behind Harper preceded him wherever he went, with adjectives such as “brash,” “arrogant,” and “egotistical” seemingly included in every story about him. All he’s done is debut as a 19-yr old, still remain as the youngest player in the majors as he starts his 4th full pro season, and hold a career slash line (.272/.351/.466) somewhat comparable to Reggie Jackson‘s (.262/.356/.490). Harper “broke out” in the 2014 playoffs after yet another injury plagued regular season, carrying the team (along with fellow youngster Anthony Rendon) and hopefully putting himself in a position to realize his potential in 2015. Where is he now? RF, #3 hitter for the 2015 Nats. 8. Chad Cordero: How Acquired: First round pick by the Expos in 2003. Tenure with Franchise: 6 years (2 with Montreal, 4 with Washington). Franchise Impact: Led the league in saves during the Washington debut season and was one of the Nationals first two all-stars. Finished a great 2005 season 5th in Cy Young voting and became known by his moniker, “The Chief” throughout the Washington baseball community. Pitched at a more pedestrian pace in 2006 and 2007 before shredding his shoulder in 2008 (torn labrum). Unfortunately the injury essentially ended his career; he bounced around the minors until 2013 but never really got another shot. His tenure with the team ended rather poorly (yet another Jim Bowden misstep), which may explain why he hasn’t really had a place with the organization since. Where is he now? As of 2015, Cordero has re-enrolled at his alma-mater Cal State Fullerton and is listed as an “undergraduate assistant” with their baseball program, which I think is fantastic. Getting his degree and getting coaching experience. 9. Jordan Zimmermann: How Acquired: 2nd round pick by the Nats in 2007. Tenure with Franchise: Starting his 7th MLB season. Franchise Impact: After being drafted out of a small Div II school and surviving Tommy John surgery, Zimmermann has blossomed into being an under-rated durable starter, the kind of pitching back-bone that championship teams need and depend on. His value became apparent when he tied for the league lead in wins in 2013 and then finished off the 2014 season with a no-hitter and then a dominant 3-hit, 8 2/3 inning infamous appearance in the 2014 NLDS (infamous since the bullpen subsequently blew the game). Negotiations have not gone anywhere to extend him, and he stands to become a key FA loss this coming off-season. Where is he now? The Nats 2015 #2 starter. Honorable Mentions: Drew Storen, Nick Johnson, Dmitri Young, Adam Dunn, Alfonso Soriano?